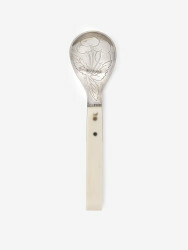 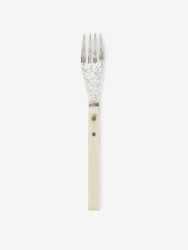 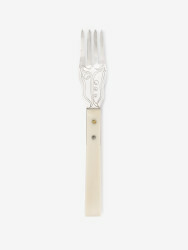 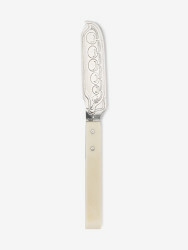 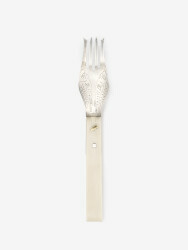 Design by Gunilla Treen for a meat knife and fork, decorated with pigs. 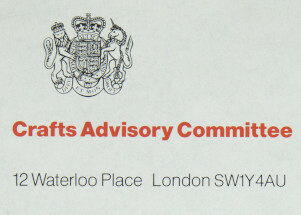 Drawn on orange paper in pencil and coloured pencil. 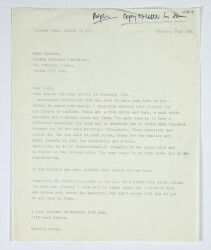 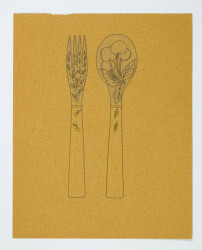 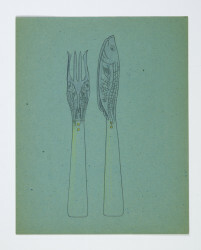 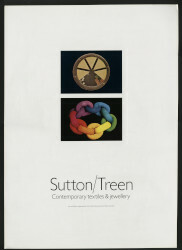 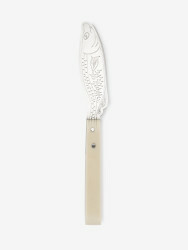 Signed and dated in the bottom right corner: Meat Knife and Fork, Gunilla Treen, 1974.